The United Nations Children’s Fund (UNICEF), has said for Nigeria to get it right on issues affecting children in the country, more investment is needed in the education. Mr Mohammed Malick Fall, UNICEF Country Representative in Nigeria, said this during an interaction with newsmen in Kaduna on Tuesday, after an interaction with children on a live Radio show, to commemorate UN Convention on the Rights of the Child. According to him “we need investment in education, to ensure that we get the more than 10 million children still not attending school into classrooms. We need to make sure children – including especially those hardest to reach – can access the nutrition they need to survive and thrive instead of a situation where 50% of child deaths are due to malnutrition. Malick Fall, who noted that though Nigeria has made a lot of improvement over the years, added, “we have a long way to go to make sure that Nigerian children’s rights are all respected, and for all Nigerian children to live safe, happy and healthy lives. 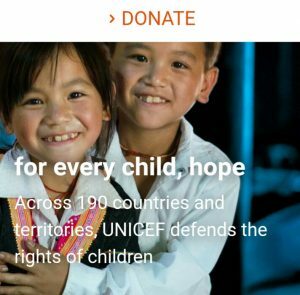 He said, UNICEF, believe that all children have right to survival, thrive and fulfill their potential to the benefit of a better world. The UNICEF Country Representative, explained that the Convention on the Rights of the Child incorporates the complete range of international human rights, which are interdependent. “That means that you can’t have one without the other. For example, in order to be healthy, you need to have food. In order to thrive, you need to have an education, but you also need to have time to play and just be a child. “Sadly, we find children’s rights suffering in every corner of the globe. From children under attack and suffering the grossest denial of nutrition in Yemen, to children lacking health care in the midst of crisis in Syria, to children in need of protection and essential services in Latin America, as they make their way across the region in a human caravan – children around the world are suffering and in need. “We are all responsible for ensuring that children’s rights are implemented. That is the government, families, schools, communities – and children themselves, in their behavior towards each other. “We have a lot to do, but together we can make sure that Nigeria is a place where children will be happy to live and grow up, with full respect for all of their rights.” He added. Mr. Fall, revealed that UNICEF is working to ensure that all 36 states in the country domesticate the Child Rights Act which is already being implemented in 24 states. World Children’s Day was set up to both celebrate children and their rights, but also to draw the world’s attention to the rights deficits that still prevail, and seek a re-commitment by governments globally to address these deficits and bring the child rights situations in their countries in line with the global standards they have signed up to. We are asking all people to wear blue today, as a sign and reminder to the world that children’s rights must – and can – be respected. 20 November is the anniversary of the 1989 adoption of the UN Convention on the Rights of the Child, which has promoted fundamental rights of children, and this year’s theme is ‘Children are taking over and turning the world blue”.